Colorado’s Supreme Court on Monday struck down local government prohibitions on hydraulic fracturing, or fracking, handing oil and gas companies a victory in a lengthy battle over energy production in the environmentally conscious state. In separate rulings, the court said a moratorium in Fort Collins and a ban in Longmont were invalid because state law pre-empted them. A lower court had reached the same conclusion earlier. Two other cities and Boulder County have prohibitions on fracking that presumably are affected by the decisions. With oil and gas exploration in a slump nationwide, the short-term effect of the rulings in Colorado will be small, industry officials said. But when the slump ends, activity in urban areas across the Front Range — the eastern foothills of the Rocky Mountains and Colorado’s most populous region, where oil and gas production is concentrated — could be significant. The land opened to exploration by Monday’s rulings is comparatively small. More significant, said experts on both sides of the conflict, is that the rulings shut down future efforts to stop fracking in local jurisdictions. Officials of the Colorado Oil and Gas Association said the decisions go beyond prohibitions on oil and gas operations, preventing localities from imposing any rules on those operations that conflict with state laws and regulations. Officials in Fort Collins and Longmont said they were disappointed by the rulings. Environmental groups said the rulings would give new momentum to efforts to force a statewide referendum. The Supreme Court has approved signature-collecting efforts for three fracking-related ballot initiatives; the two most significant would effectively reinstate local control over fracking and other activities, and outlaw fracking within 2,500 feet of occupied buildings, waterways and public open spaces. Supporters must gather nearly 100,000 signatures by August for each of the initiatives to place them on the November ballot. “I think this is definitely going to add fuel to the fire for folks to get out there and help get these initiatives passed,” said Lauren Petrie, a senior organizer at Food and Water Watch in Colorado, an opponent of fracking. Spurred by the rise of hydraulic fracturing, Colorado has become one of the nation’s largest producers of oil and gas. The state has more than 50,000 active oil and gas wells. 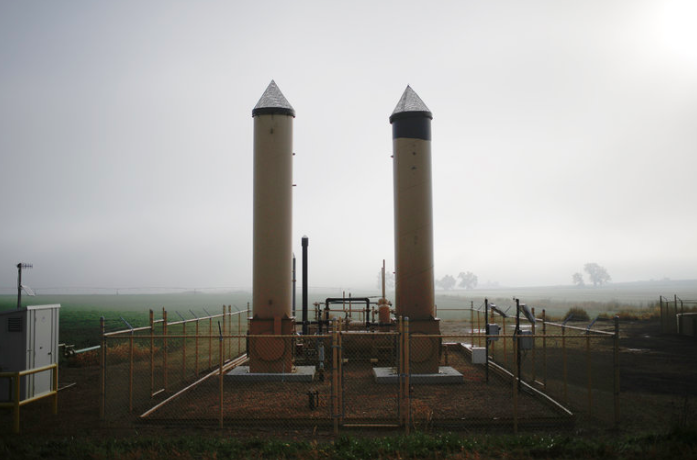 Environmental advocates say that the Front Range oil and gas boom has contributed significantly to an ozone haze that sometimes blankets the area, and that a coming report will show that well leaks of methane, a greenhouse gas, are common. They also argue that the chemicals used in fracking can leach into water and pose significant health hazards. Mr. Haley, of the oil and gas association, said Colorado’s strict rules have led to a reduction in pollution from wells even as oil and gas production rose in recent years. Colorado is one of several states where the oil and gas industry has faced citizen-led efforts to ban fracking. New York has banned fracking statewide, and Pennsylvania has granted local government authority over hydraulic fracturing. The Texas Legislature responded last year to one city’s ban on fracking with a law that pre-empts local control over a broad range of drilling activities. Gov. Jerry Brown of California came out against a fracking ban last year, but advocacy groups are waging a statewide campaign to place a ban on the ballot. “It’s 2 to 2, and California’s still in play,” said Bruce Baizel, the energy program director for Earthworks, an environmental advocacy group that focuses on mining and energy exploration.